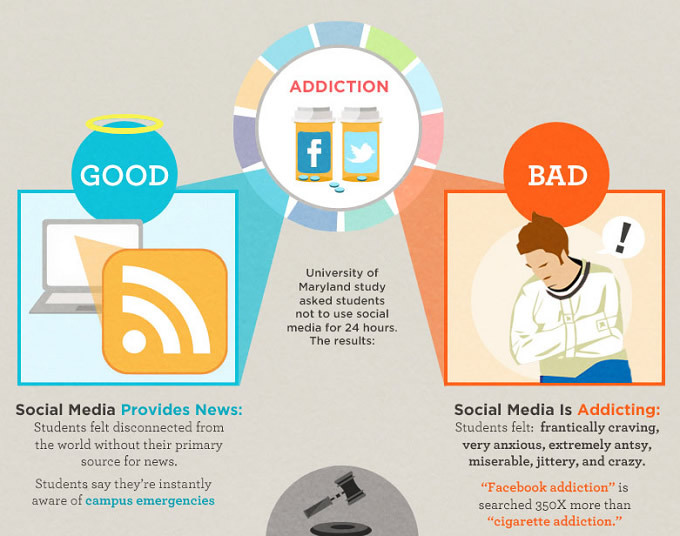 Psychology of Social Networks: What makes us addicted? Have you ever thought about the number of times you check social networks? Is it a few times a week? Once a day? Seventy-two percent of online adults use social media and the average user spends 23 hours a week on social media – that’s the equivalent of a part time job! We are living in the social media era. What makes us so addicted? Social networks are an extension of ourselves. Communication occurs during interaction, and our need to be connected and interact with others is universal and unavoidable; hidden behind this social instinct there is the even more powerful necessity of giving sense and meanings to our world. Being in touch with others, allows us to create social universes made of symbols – e.g. language, numbers, gestures, emoticons 🙂 – and social rules, which are shared and understood by everybody. Social validation is an important part of being human. A Facebook ‘Like’ or a Twitter ‘Favourite’ is a social signal that makes us feel good. We have a brain wired for collaboration, compromise, restraint, comprehending and managing one’s place in shifting-alliances. We notice when others are doing something that excludes us. It will trigger some primitive survival responses. People under 30 are still in the period when they are establishing their own lives, developing personal and professional identities, becoming economically viable (creating alliances), etc. Their focus will of necessity be social. Ego needs a platform to showcase itself and social networks are the perfect answer. Eighty percent of our online conversations are self-disclosure, compared to 30 to 40 percent of offline conversations. We live in a ‘Me’ society with an obsession of the ‘self’ that drives us to update our status and tag ourselves in photos (but only those that we look good in of course). Social comparison and self esteem increase. People compare themselves to assess feelings, strengths, weaknesses, abilities and perspectives. Having your social connections reaffirmed makes you feel good. Brain chemistry. Social networks are physically addictive as well as psychologically. A study from Harvard University showed that self-disclosure online fires up a part of the brain that also lights up when taking an addictive substance, like cocaine. One cannot not communicate (Watzlawick & the Palo Alto School, 1967) is one of the reasons adopted in social and clinical psychology. The social world is socially constructed through interactions between people: roles, rules, categorisations, stereotypes, normality, deviance are results of human sharing, the outcome of our being humans. Social networks have the power to amplify this human nature. They have broken the barriers of distance and time, of presence and visibility. They expand the possibilities of sharing and playing identities. They fulfil the most deeply human need of finding a psychological distinctiveness and self-definition in a social context. Facebook profiles become teenagers’ “virtual bedrooms” (Hodkinson and Lincoln, 2008), meant as virtual environments to be personalised, to meet peers and play at adulthood. 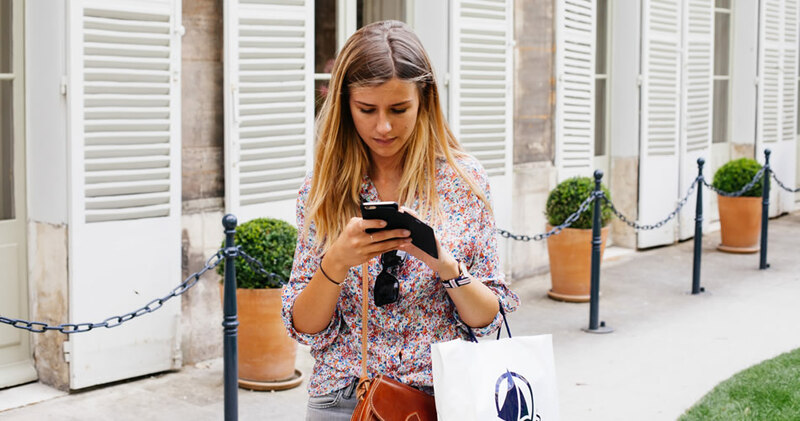 Several studies demonstrate that users experience the interaction on social media as an extension of their offline social relationships, as a supplement to their real life, and not as a substitution of it. Social networks become stages with no time and no space. In conclusion, “all media are extensions of some human faculty” (Marshall McLuhan). Social networks are an extension of our most deep psychological instinct, being social. If you’d like to know more about UX psychology and how it can help you, contact our UX experts for free, friendly, no-ties advice. Paul Watzlawick, Janet Beavin Bavelas, Don D. Jackson (1967). Pragmatics of Human Communication: A Study of Interactional Patterns, Pathologies and Paradoxes. Norton & Company Inc, NY. Tajfel, H. (1974). Social identity and intergroup behavior. Social Science Information,13, 65-93. Hodkinson, P., Lincoln, S. (2008). Online Journals as Virtual Bedrooms? Young People, Identity and Personal Space. Young, 16(1) pp.27-46. McLuhan, M. (1964). Understanding Media: The Extensions Of Man. London: Routledge & Kegan Paul.